We are delighted to have been awarded O2 large Partner of the year for the second year running at the O2 Direct Partner Conference held Wednesday 30th November at Pullman Hotel, London. To be recognised by O2 as their leading business partner in the UK for the second year in a row is a huge honour and testament to the outstanding work the whole team do. We look forward to building on this success in 2017. 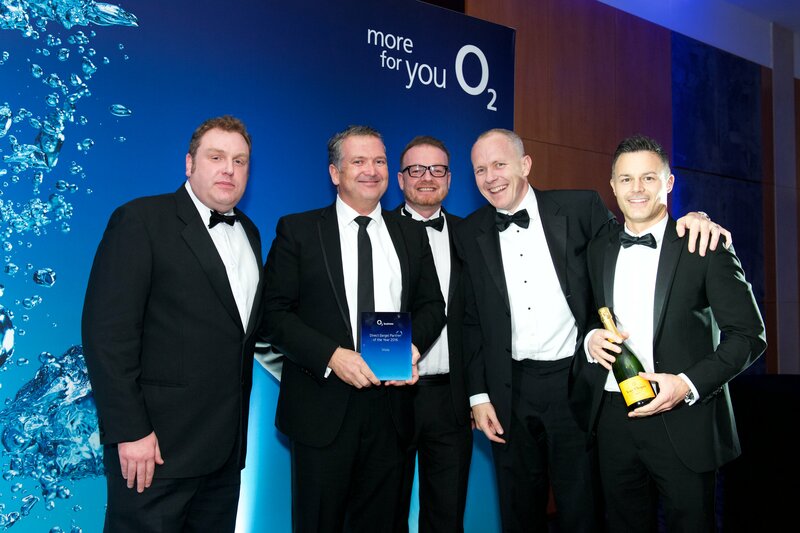 This is our 4th prestigious award from O2, having previously won O2 Partner of the Year, Business Partner of the Year and Customer Service Partner of the Year – the most awards ever received by an O2 Direct Partner! Added to our Mobile News Best B2B Dealer 2016 award and London Stock Exchange top 1000 companies to inspire Britain it truly has been a year to remember! O2 Head of Sales Jason Phillips (pictured far left) O2 Sales Director of SME Darren Buttrick (middle) O2 Business Director Ben Dowd (pictured second from right)presented Vivio Managing Director James Wright (pictured second from left) and Sales Director Gary Scouller (pictured far right) with the award. Receiving this award for a second-year running is quite an achievement and couldn’t be done without hard work and commitment from everyone at Vivio. Our mission has always been to provide a fantastic Client experience and we’d like to take this opportunity to thank our Clients for their continued support this year.